At wine cave, Your information will never be released to any party except the shipping company that delivers your order. Note: Submission of your private information and your credit card information is always handled over secure server so your privacy is secure with us. GoDaddy.com has verified that the certificate holder controls the domain www.winecave.ca. Certificate is valid (12/4/17 12:40 PM to 12/24/18 11:33 AM). 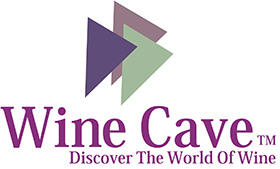 Please vist wine cave's homepage for digital crtificate. In May of 2004, GoDaddy started selling SSL Certificates for a fraction of the price that other companies were charging. Since then, GoDaddy has become the #1 provider of net new SSL Certificates according to Netcraft (and prices are still only a fraction of what the competition charges). The disparity in prices is amazing, particularly because all of GoDaddy's SSLs offer the same level of encryption and browser recognition. Plus, all GoDaddy SSL Certificates support an unlimited number of servers while most other companies' certificates support only one server. GoDaddy also offers other certificate services: Certified Domains verify the identity of a website's owner and reassure visitors that the site is not fraudulent, and Code Signing Certificates protect software code from being copied or altered. According to WebTrust, "A WebTrust attestation engagement focuses on risk areas related to e-commerce activities and the appropriate policies and controls to manage those risks to the benefit of both the entity and the entity's customers. The end result is a more robust and secure system." The WebTrust review process, sponsored by the Canadian Institute of Chartered Accountants and the American Institute of Certified Public Accountants, culminated in GoDaddy's receipt of a WebTrust Seal of Assurance for Certification Authorities. WebTrust's distinctive seal of assurance displays on the GoDaddy website. All supporting documentation for GoDaddy's SSL Certificates can be found online in the SSL repository.